Popcorn is a food that has been around for many thousands of years, ever since people in America discovered that if corn (maize) was left next to a fire, it would 'pop' into fluffy and delicious shapes. Ever since then, popcorn has become one of the most popular foods on earth, with movie-goers everywhere tucking into huge bucketfuls of the stuff. There is a little more to popcorn than that, and we are going to design some experiments which will allow us to find out a little more about this fascinating food. For these experiments with popcorn, it is best if you have a hot air-popper. If not, you will need to use a pan on the cooker (stovetop), so it is important to have an adult helping you. You must also remember that popcorn is very hot when it comes out of the popper so handle with care. If you want to eat the popcorn afterwards, make sure that all your equipment and your hands have been washed properly. Experiment 1 - Are Yellow or White Kernels the Best? A good supply of both yellow and white popcorn kernels. Chart for recording your results. White kernels pop better than yellow kernels. The type of popcorn kernel. The number of popped kernels and the volume after popping. First, you need to make yourself a data chart, like in Figure 1. You will use this to record the results of your experiments with popcorn. Count out 100 kernels of white popcorn, and heat until you can no longer hear any popping. Let everything cool down and then count the number of popped kernels. Record this on your chart. Because we counted 100 kernels, we can write this number down as a percentage. Tip the popped corn into a measuring jug and measure the volume in ml. Record these numbers on your chart. You can take an average of your results for the percentage of popped kernels and the volume. Which color kernel pops better? You can draw your results onto a couple of bar graphs and discuss your important findings with the rest of the class. Maybe you could test different brands of popcorn to see which the best are. Does a hot-air popper do a better job than a pan? 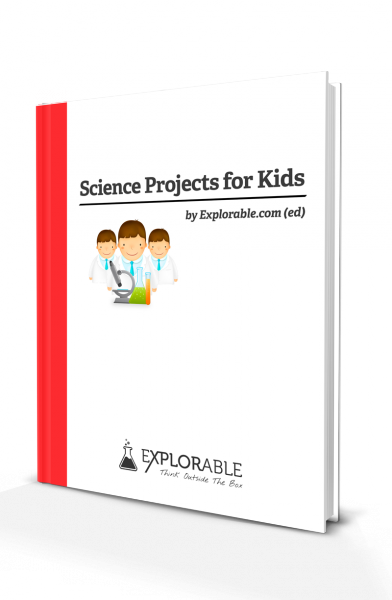 There are many ways you can design more experiments with popcorn. Experiment 2 - Which is the Tastiest Popcorn? For this experiment you will be trying to find out which brand of popcorn people like to eat most. You will be using a 'blind tasting' technique to find out which popcorn people like the most. Brand 'X' is the best tasting popcorn. Five different brands of popcorn - it is best to stick to the same type e.g. all salted or all sweet to prevent personal taste becoming an issue. Tip a little of each popcorn into a bowl and make a note, with the labels, of which is which. Take one of your volunteers and blindfold them in case they recognize any of the brands. You must be very careful and make sure that they cannot trip over anything. Let them try each brand of popcorn, in turn, and give marks out of ten for how tasty it is. 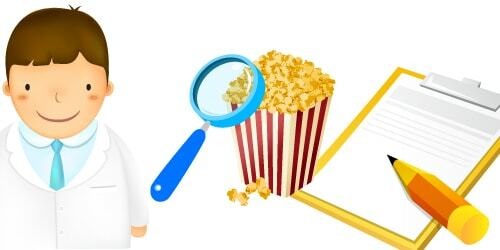 Make a note of your results in a table and add up the results for each brand of popcorn. You can then plot a simple graph and you will know which brands are the tastiest! There are many other experiments with popcorn you can do with this method. Maybe you could study whether more expensive brands taste better. Does the cost of the popcorn make a difference? Salt Water Egg Experiment - Will it Float or Sink?